Doug Cifu’s outfit is embracing diversity by acquiring agency-brokerage and analytics shop ITG. The deal is also practically free insurance against a market downturn as cost cuts should pay for most of the $1 bln price tag. That should make Virtu Financial a fitter player. 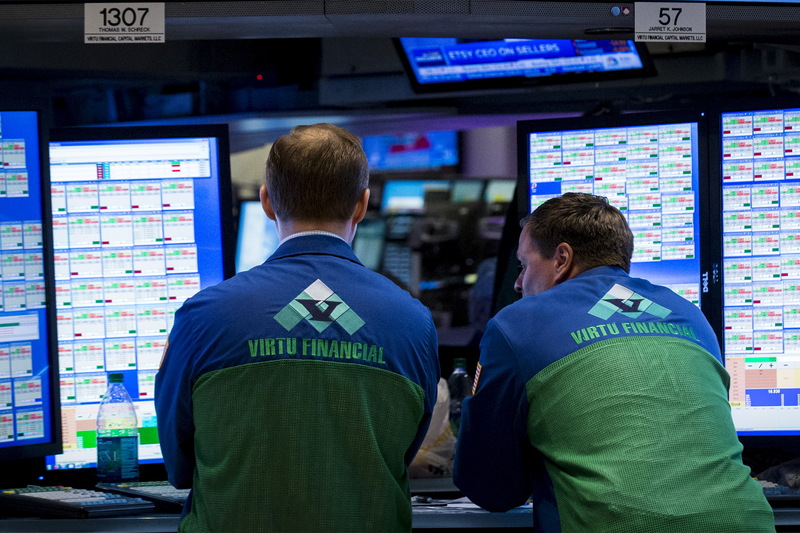 Specialist traders work at a Virtu Financial booth on the floor of the New York Stock Exchange April 16, 2015. Virtu Financial on Nov. 7 said it has agreed to buy Investment Technology Group for $30.30 a share, or $1 billion. Chief Executive Douglas Cifu said ITG’s agency-brokerage and analytics businesses would reduce Virtu’s quarterly earnings volatility. The company expects to achieve $123 million of pre-tax cost savings within two years of completing the deal. At the same time, Virtu reported net income available for common stockholders of $8.6 million, or 8 cents a share, in the third quarter. That compares with a loss of $13.5 million or 17 cents in the same period a year earlier. Revenue rose 9 percent to $295 million.